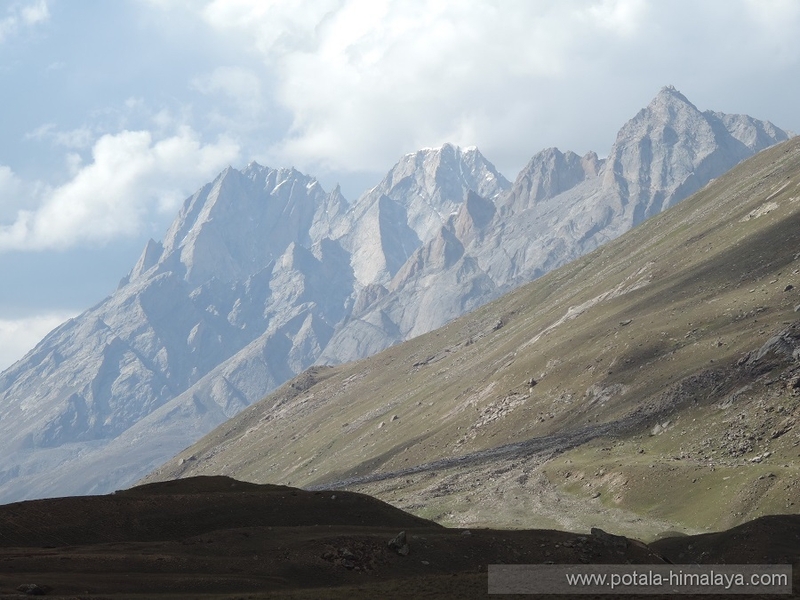 Remote Miyar valley is situated in NW of Lahaul Spiti district of Himachal Pradesh. 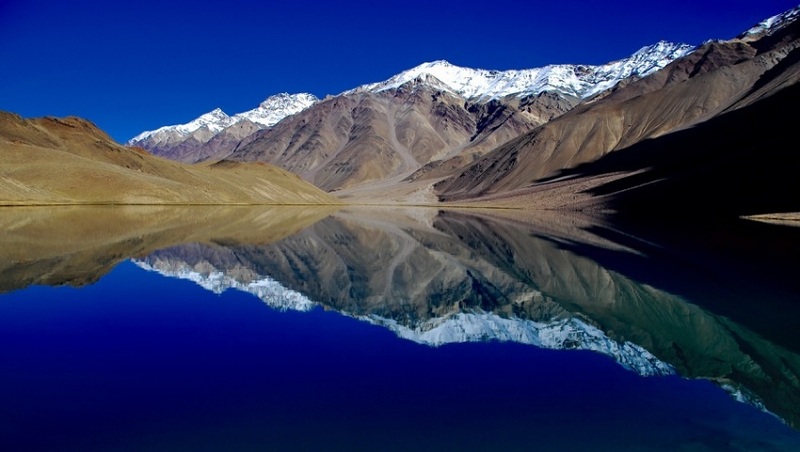 Miyar valley is stretching over 100 km from Udaipur to great Kang la pass. 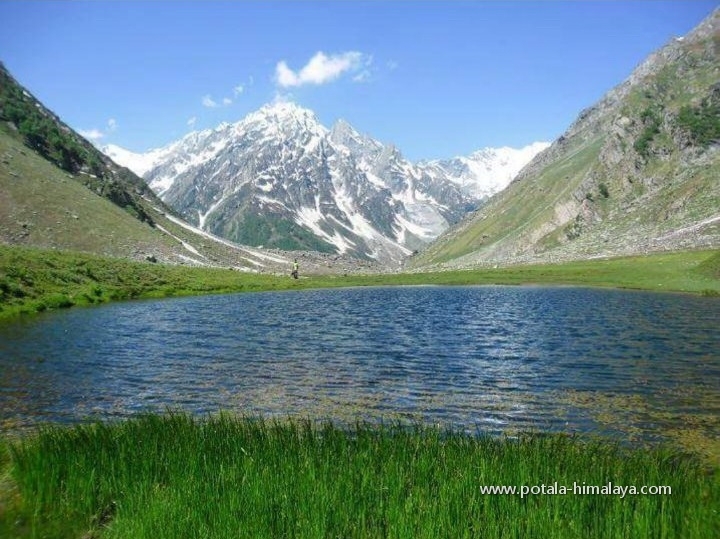 Miyar is known as the valley of flowers. 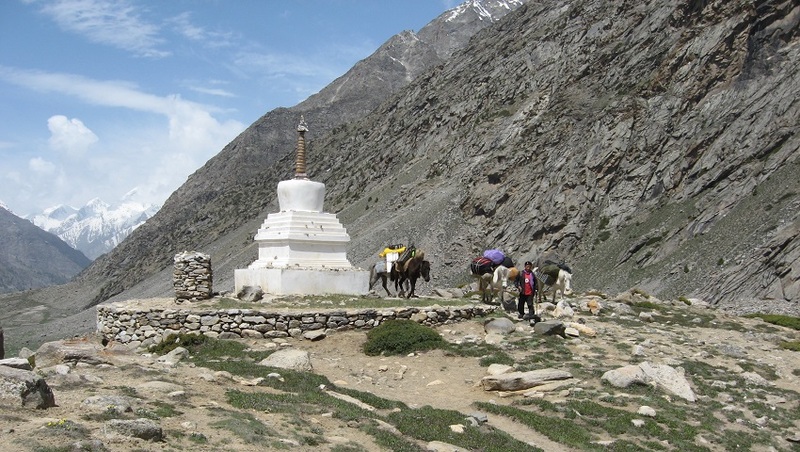 It’s an unspoiled area similar to Zanskar and local people in the area follow Buddhist customs and are mainly shepherds and farmers. 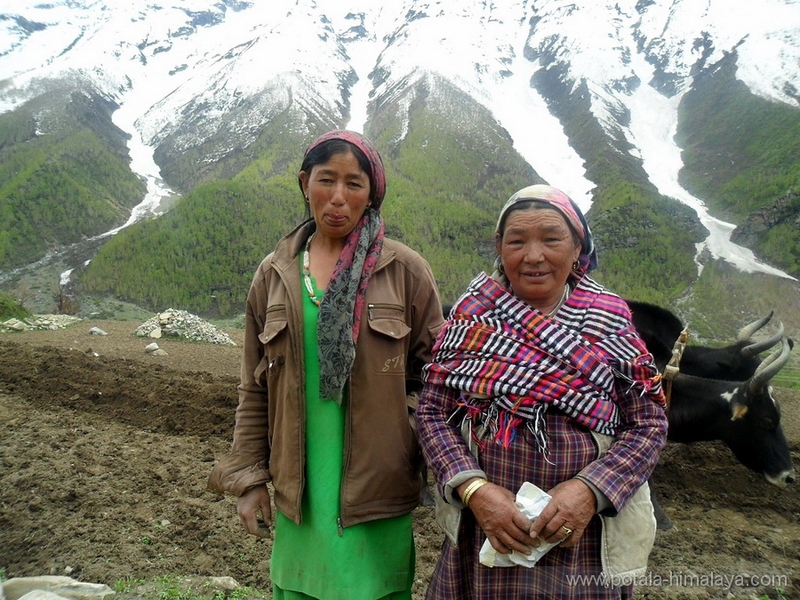 During summer cultivating green peas, potatoes and Barley are a main cash crop in the valley. 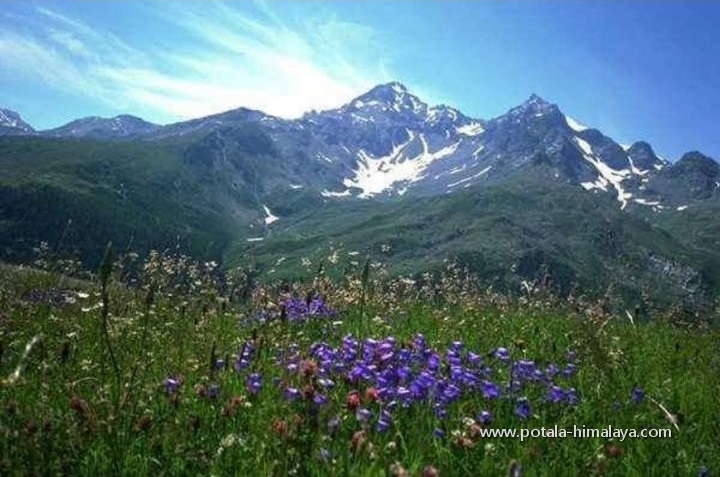 July and August is prime time to visit this magnificent valley, blossom with high altitude flowers, the rare Blue poppy is quite famous among all. 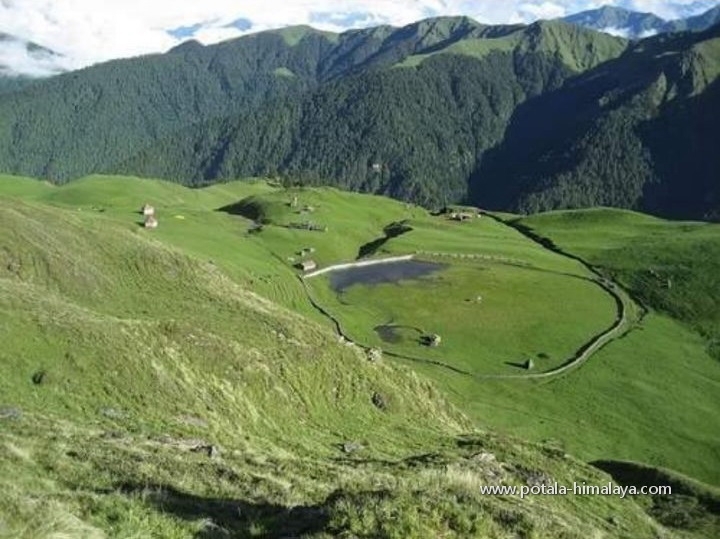 The Miyar valley is comparatively easy to reach by road and there are plenty of unspoiled things to explore which is still hidden to the outside world. 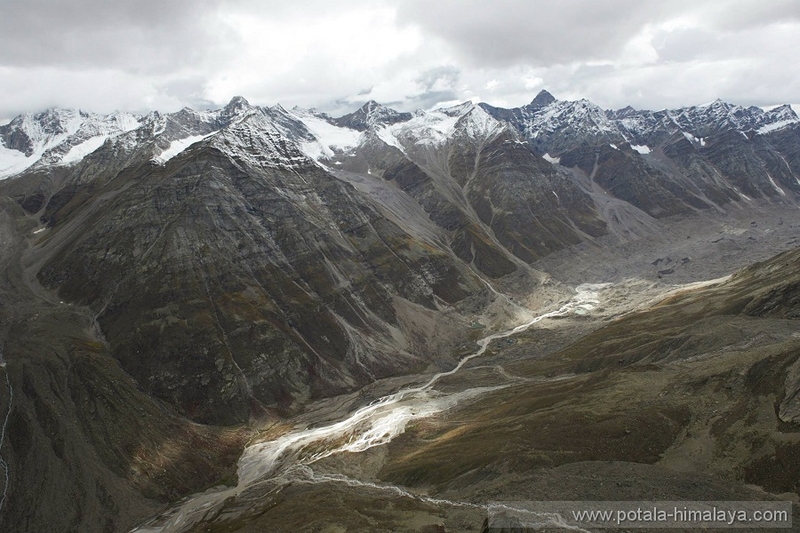 Potala adventurers share this magnificent valley to its visitor to experience this wonderful valley. 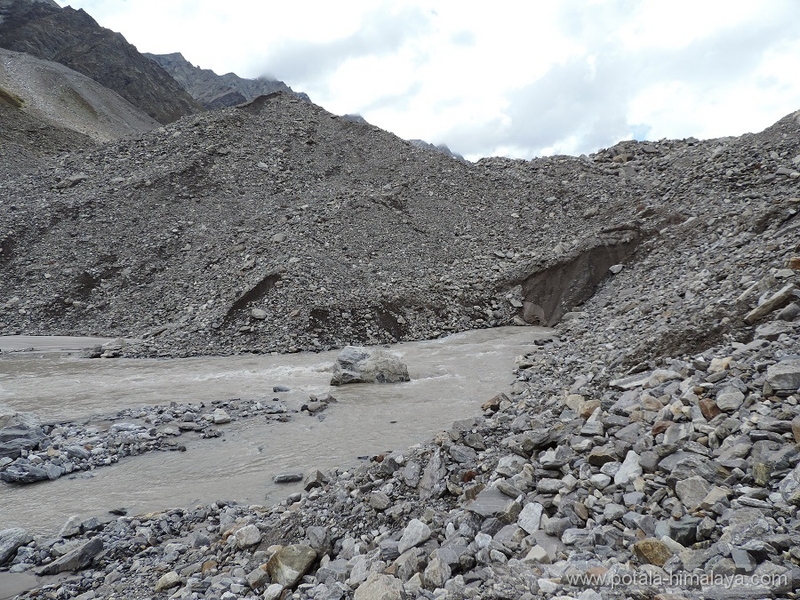 Day 7 Trek to Base camp (4700m), 6 hrs. 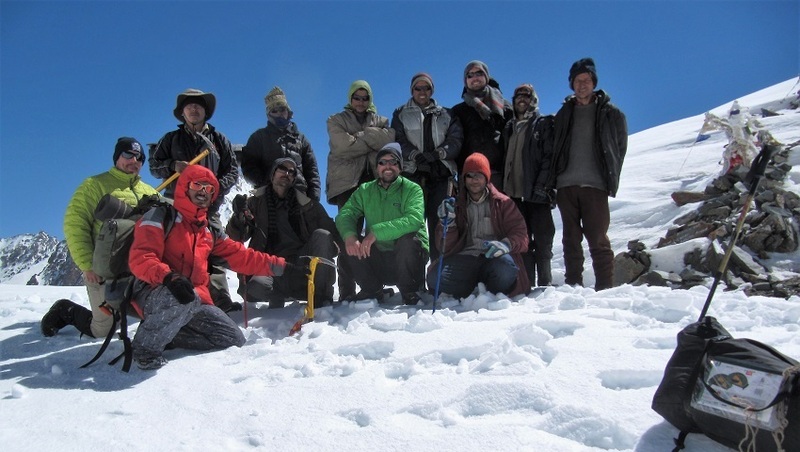 Day 9 Trek to Pimu pass (5223m) a.k.a. 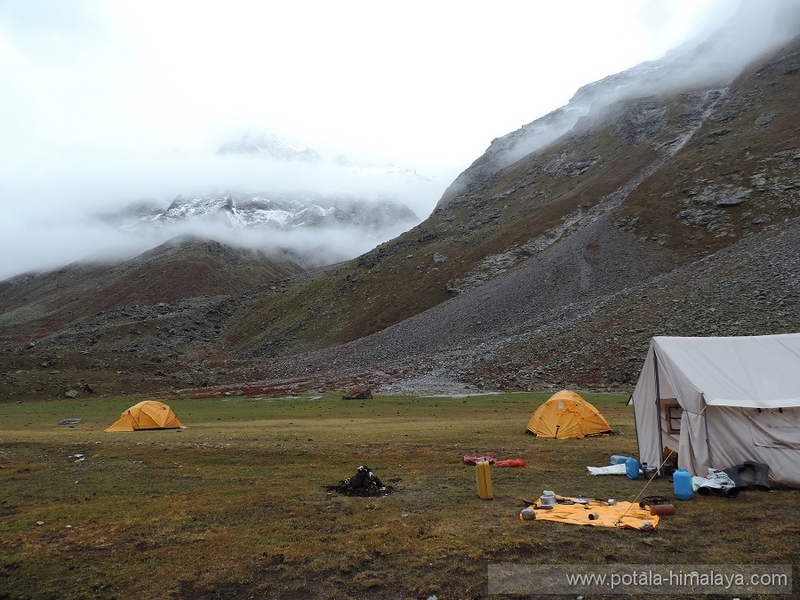 Dugai Jot - Junction of Sappar nala / Jambu nala (4000m), 7-8 hrs. Day 13 Manali to Chandigarh / Delhi. 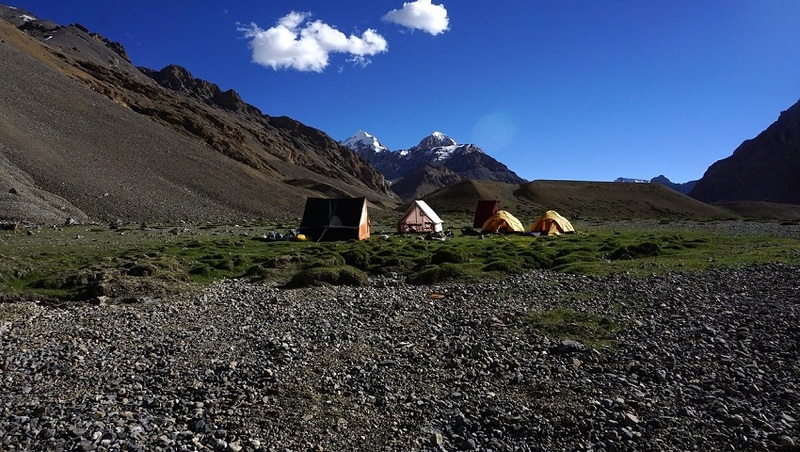 · All camping facilities: Mess tent, camp chairs, and a table. 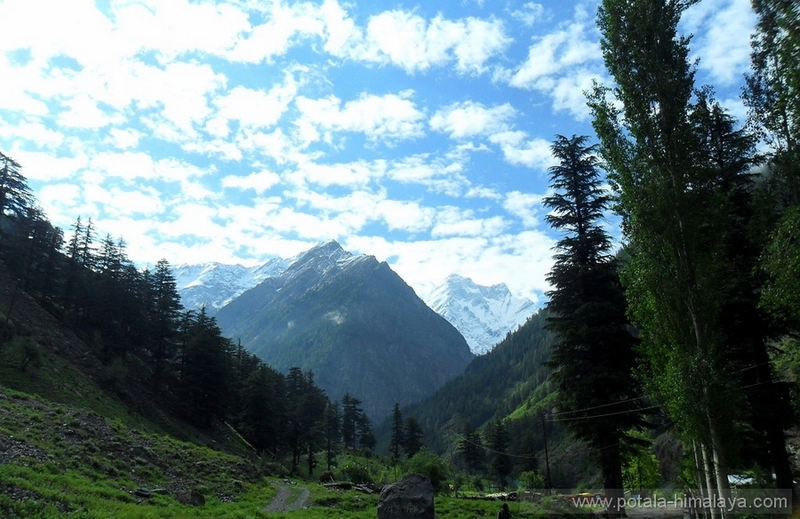 Arrive Delhi or Chandigarh, drive to Manali. 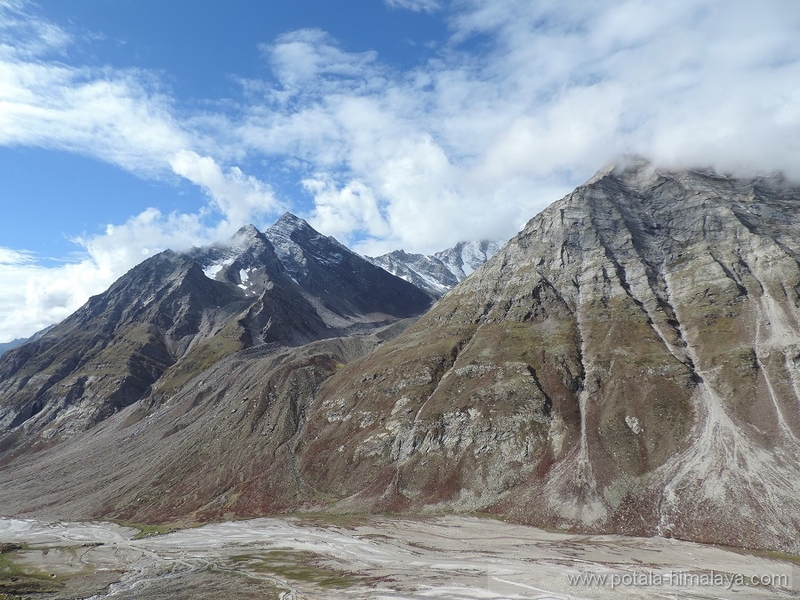 Today after breakfast we drive to Rohtang pass 51 kms from Manali. 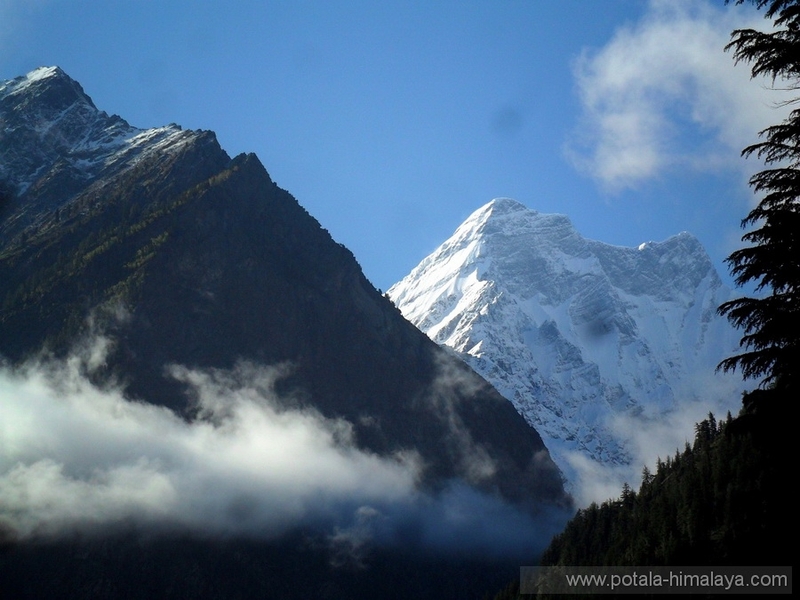 It’s a favourite destination of Indian tourist to discover snow. 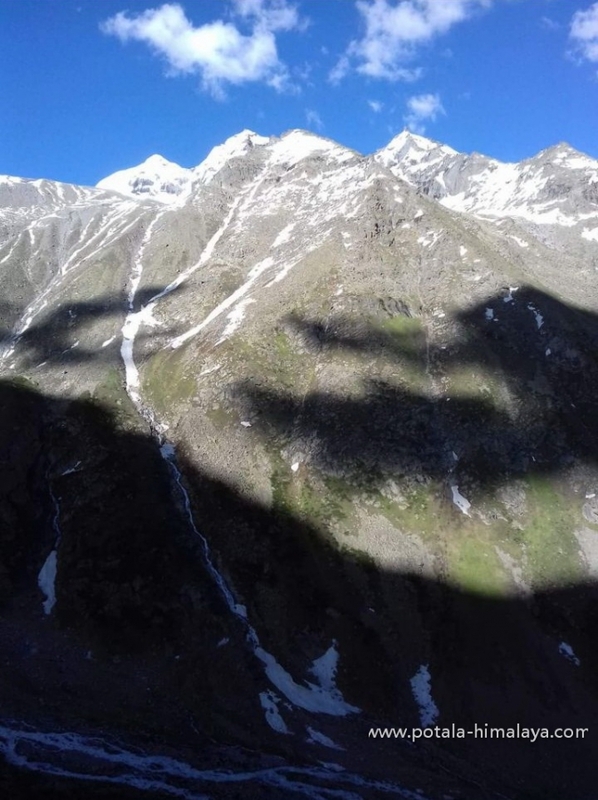 Rohtang pass connects Lahaul-Spiti with Kullu valley. 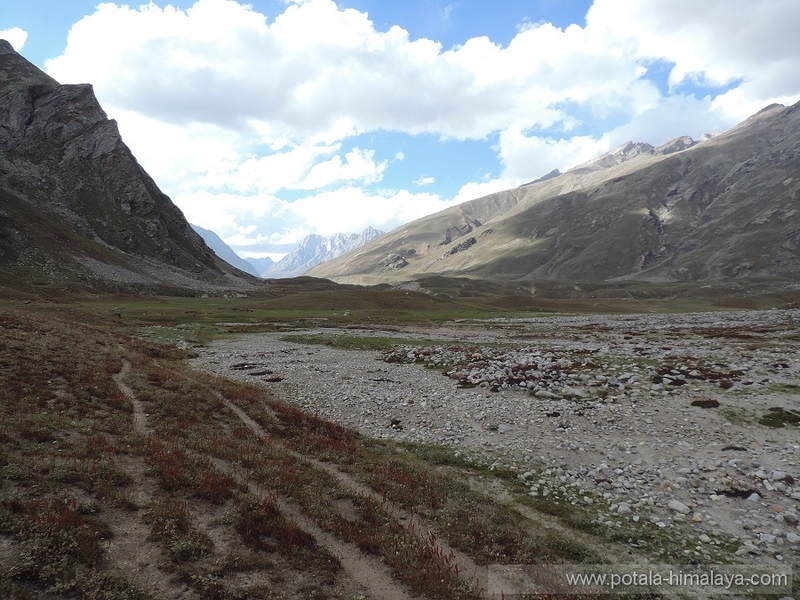 This pass is a fifth lowest altitude pass on the part of second highest mountain road in the world. 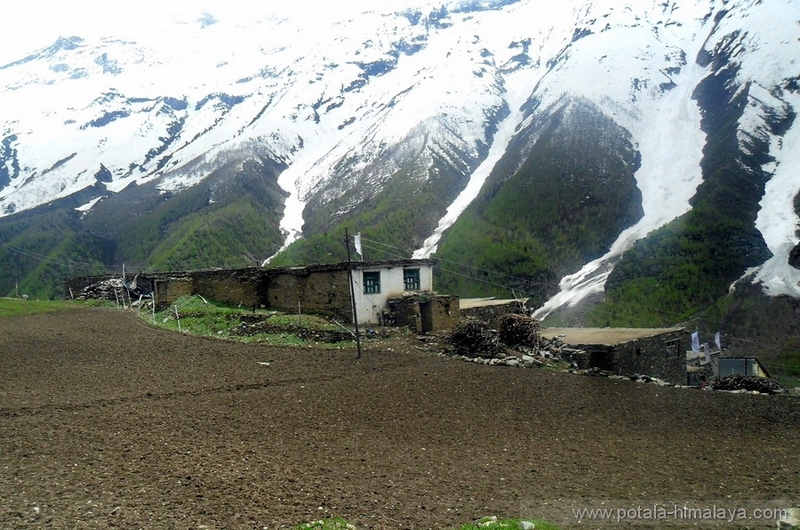 We drive through magnificient villages along the Chandra Rive in Lahaul. At Tandi where confluence of Bhaga and Chandra River makes Chenab River, one of the five major Rivers of Pakistan. 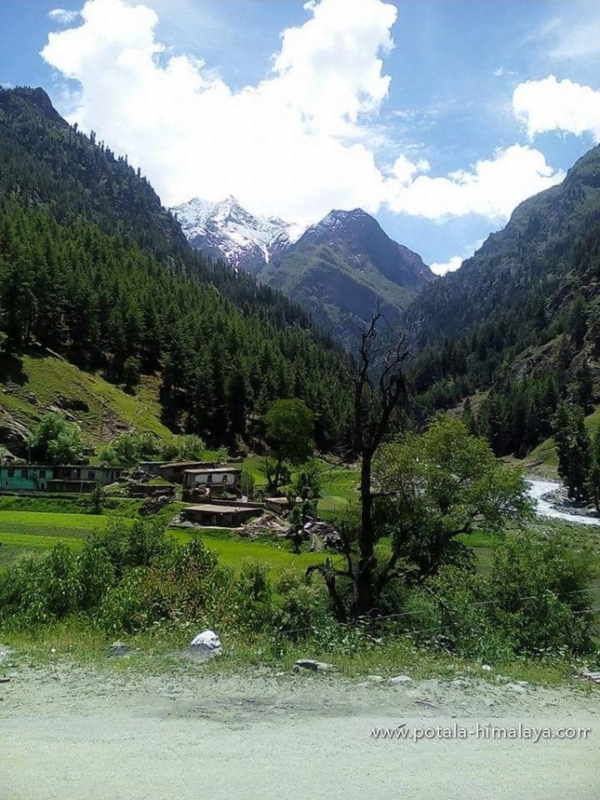 We enter in Pattan valley, driving along the right bank of Chenab. We pass through terraces barley fields and superb small villages all along the route. Passing Udaipur we enter to Miyar valley. We drive to Urgos, our starting point of trek. 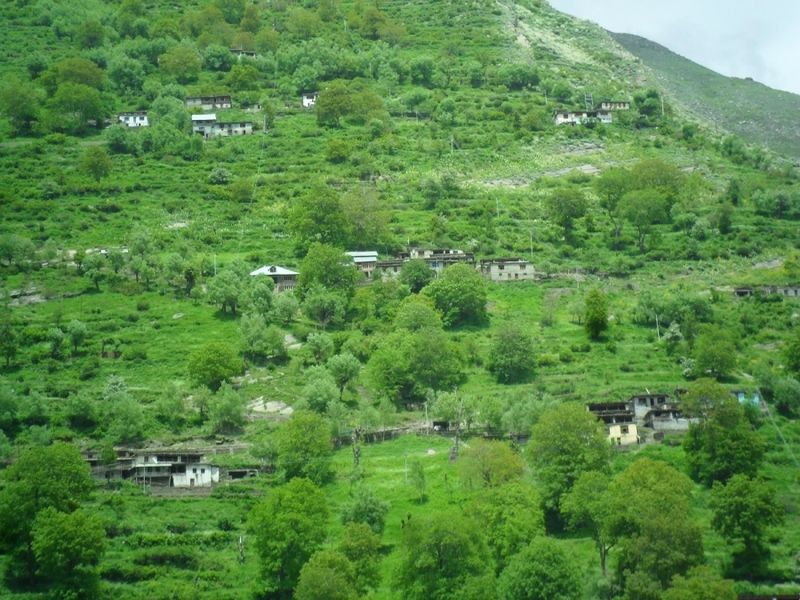 Leaving Urgos, we drive up the valley, across a stony moraine stretch and some side streams to Khanjar, the last village. 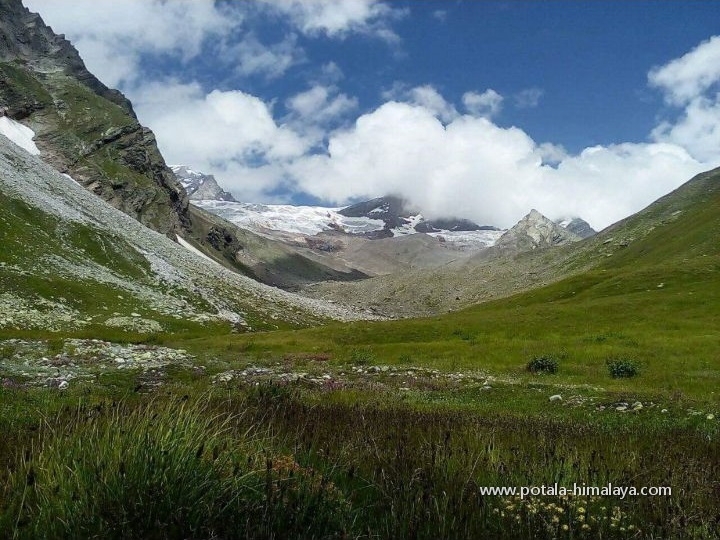 above the village on a beautiful alpine meadow, carpeted with edelweiss and catmint. 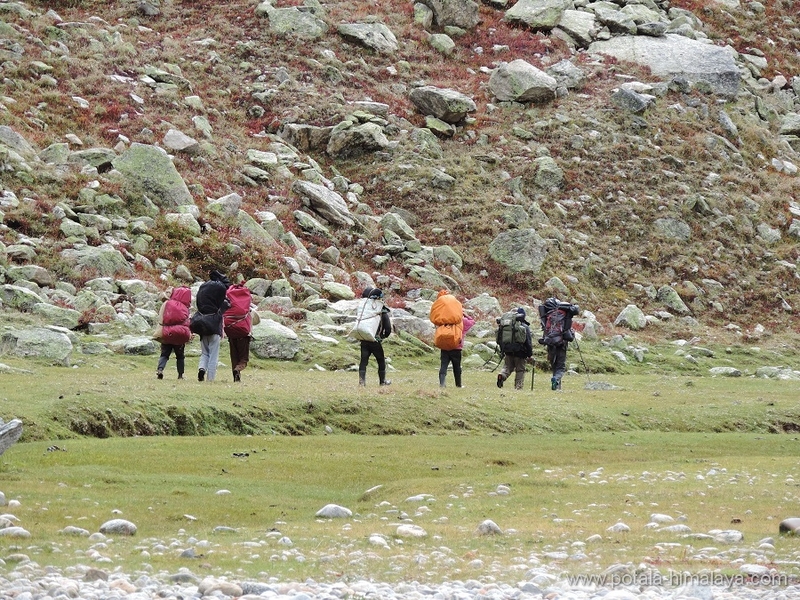 It is not rare to see the Himalayan Griffins and Lammergeyers. 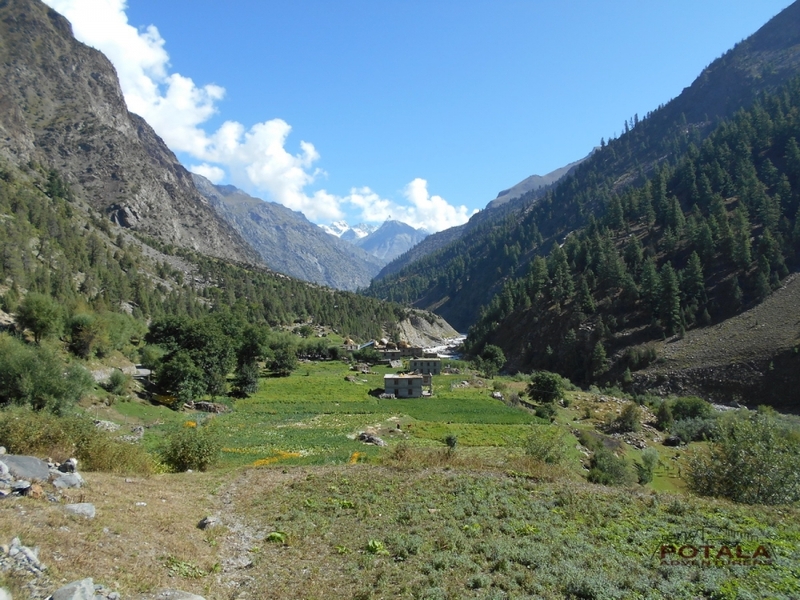 There are lovely pastures all along the trek up to the camping site. 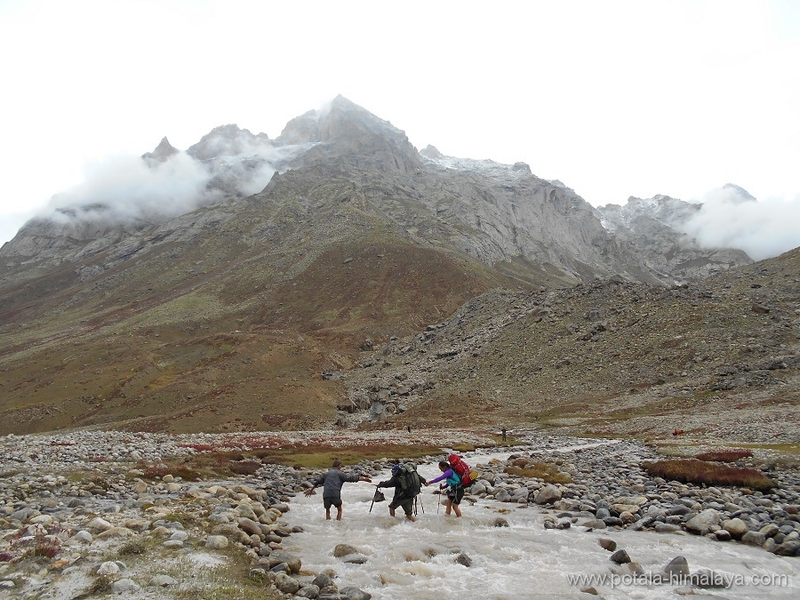 The trek continues to the left side of the stream. 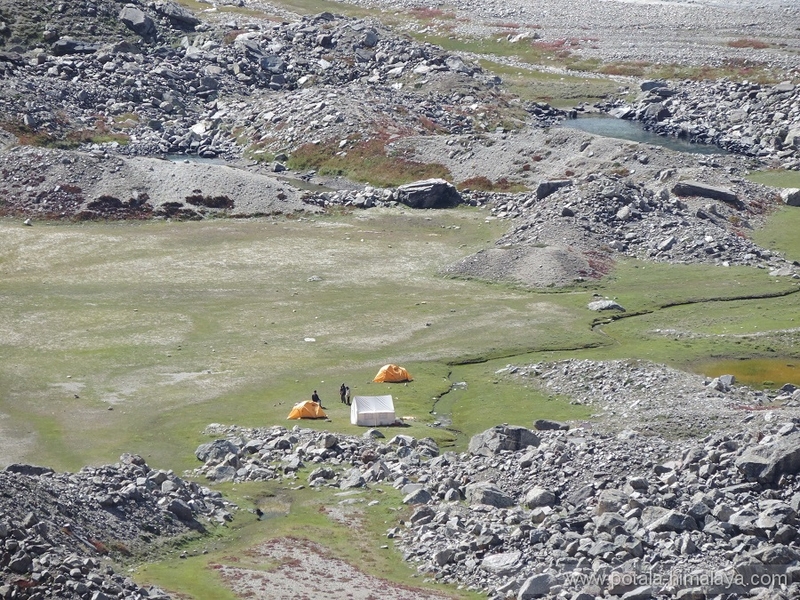 A side stream coming from the Shinku La is forded to reach at a camping site. 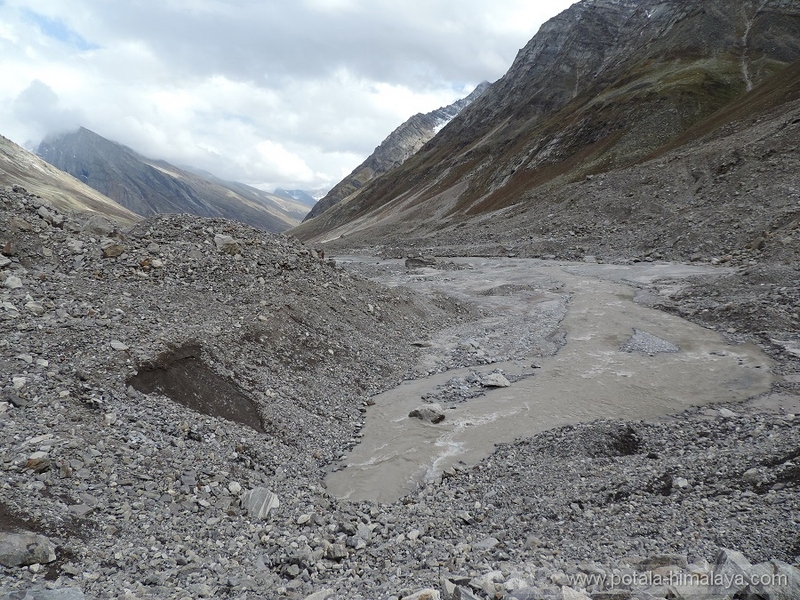 A side stream mingles here with the Myar nullah. The camp is established here. 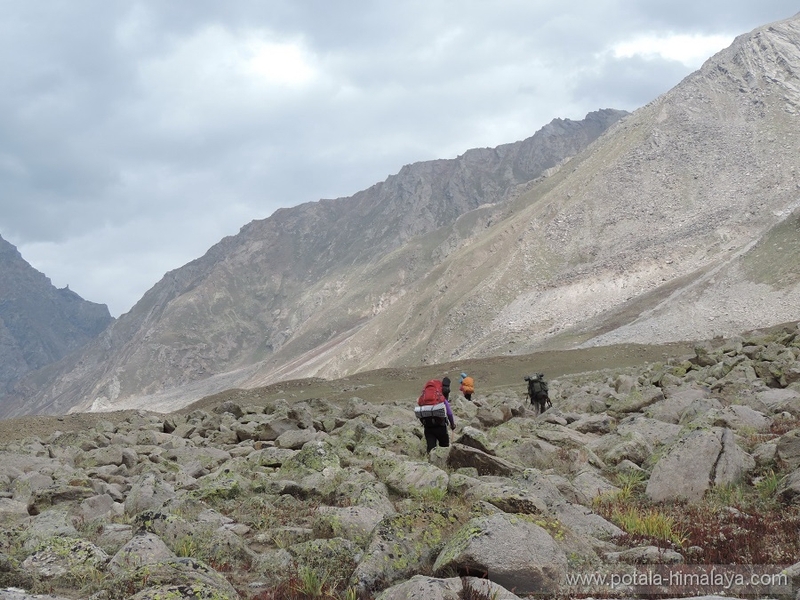 The meadows Landscape is slowly changed into the rocky outcrop as we approach the pass. 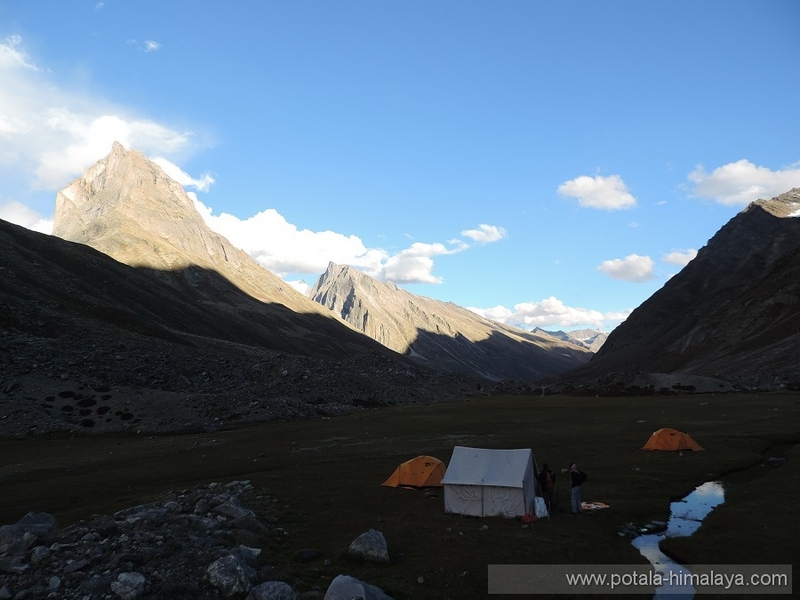 Today we camp amongst the patches of land in between the rocks. 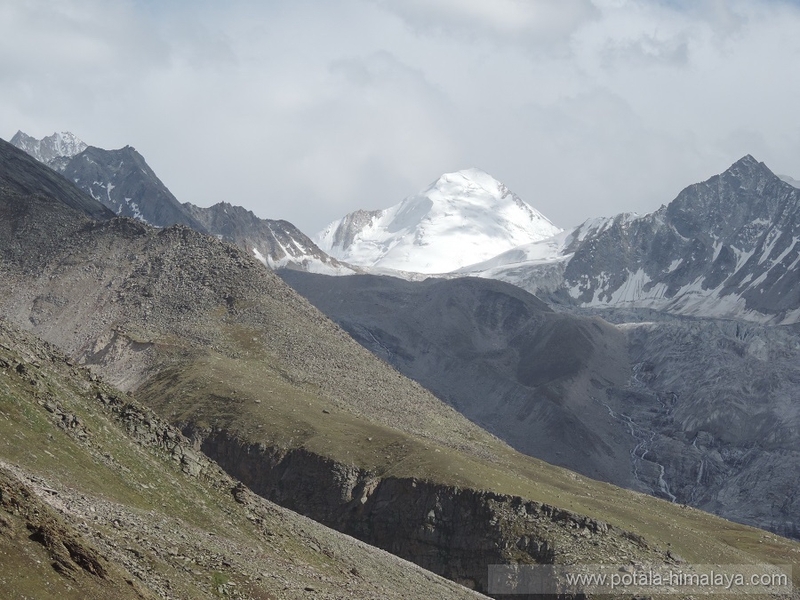 Day 8 Trek to Pimu pass (5223m) a.k.a. 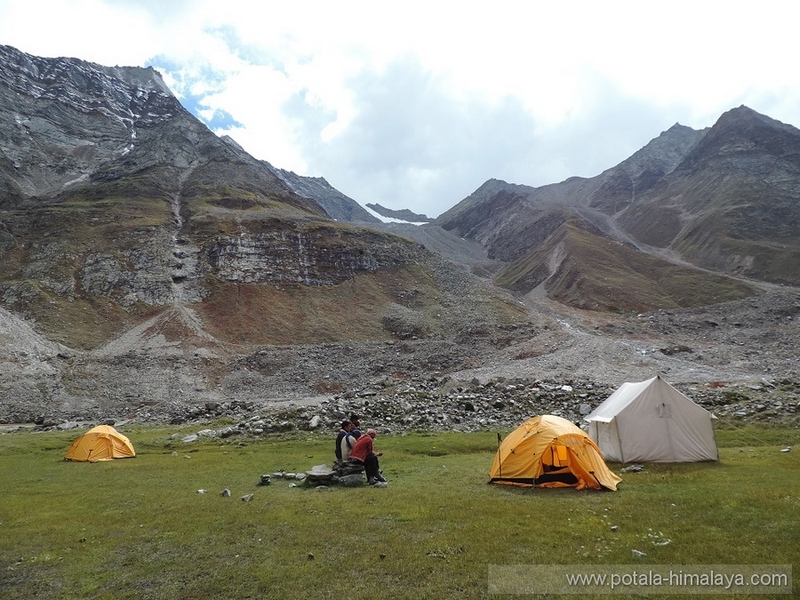 Dugal jot / Dagal Jot - Junction of Sappar nala / Jambu nala (4000m), 7-8 hrs. 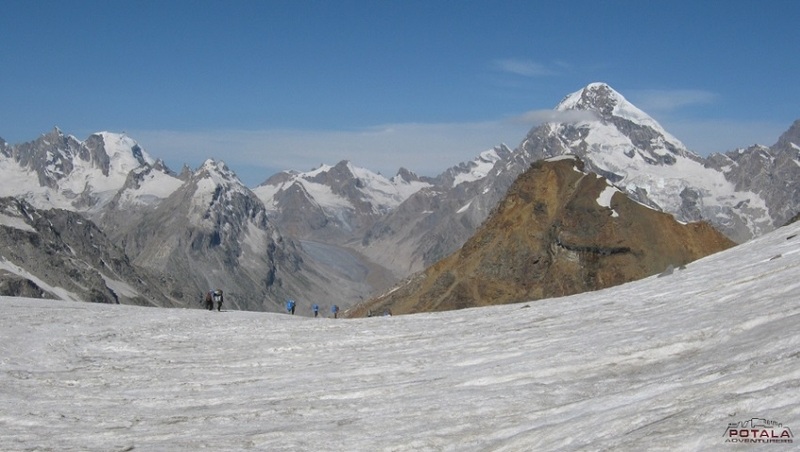 We climb up to the top of the pass, terrain comprises of the moraine and bit of ice (Glacier). 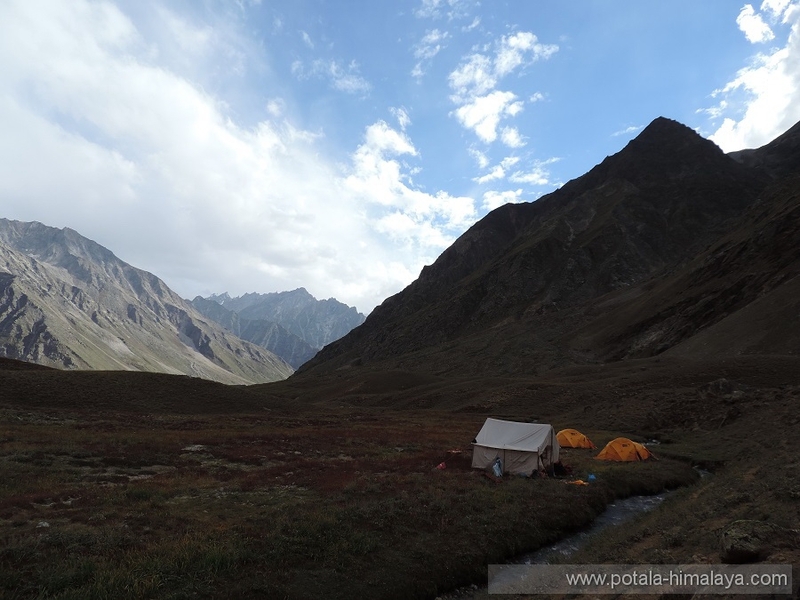 Further descend though the moraine slowly the moraine fades away and we reach into a lovely meadow, camp at Meadow. 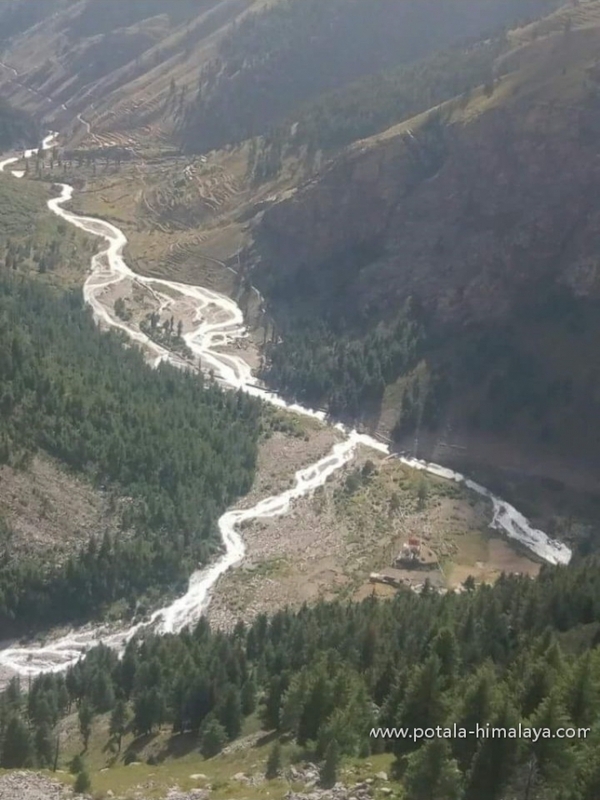 Today’s walk is all Along the stream to the beautiful villages of Hilu and Twan, these villages are inhabited by bhots, unlike most of the sharp features people in the valley , this community has mango lion features and are Buddhists. 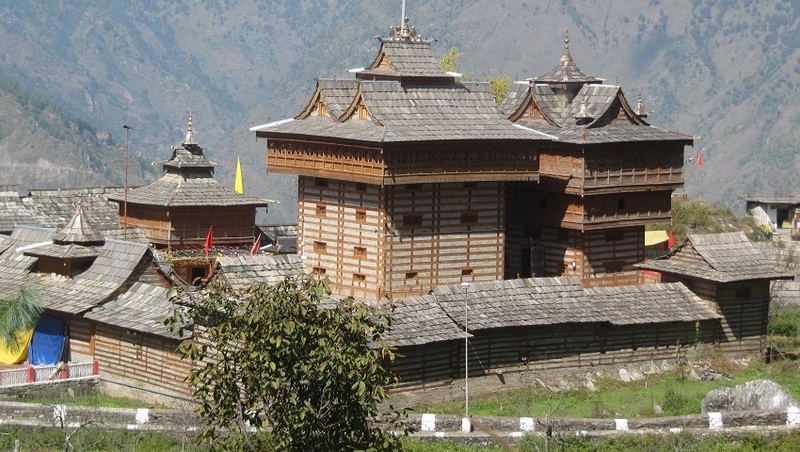 There is also a Buddhist Monastery in the Village. 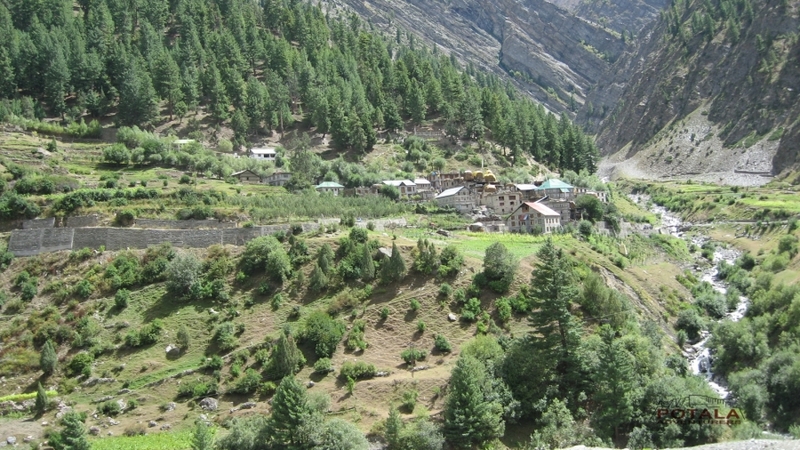 Chask and Bhatori are the last Villages of Pangi towards Lahaul. 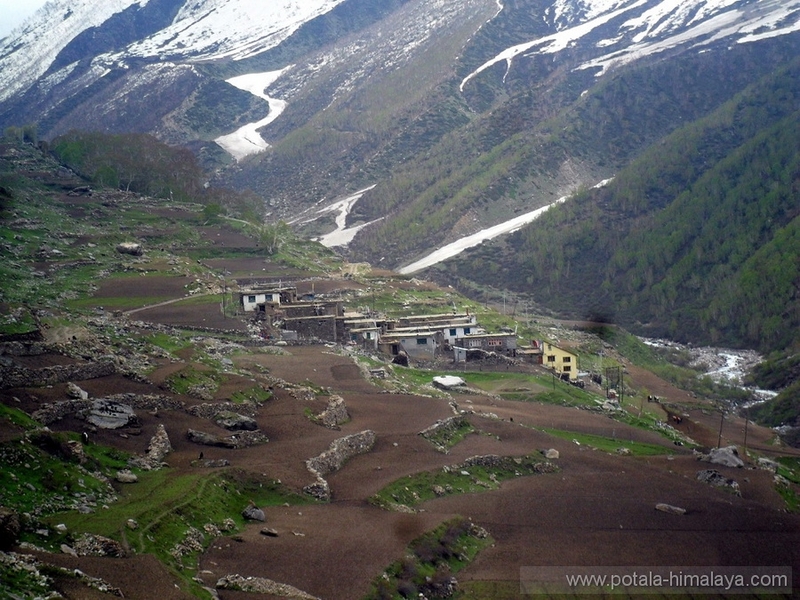 Chask Bhatori is the highest located Village in the Pangi Valley (3659 Mts.). 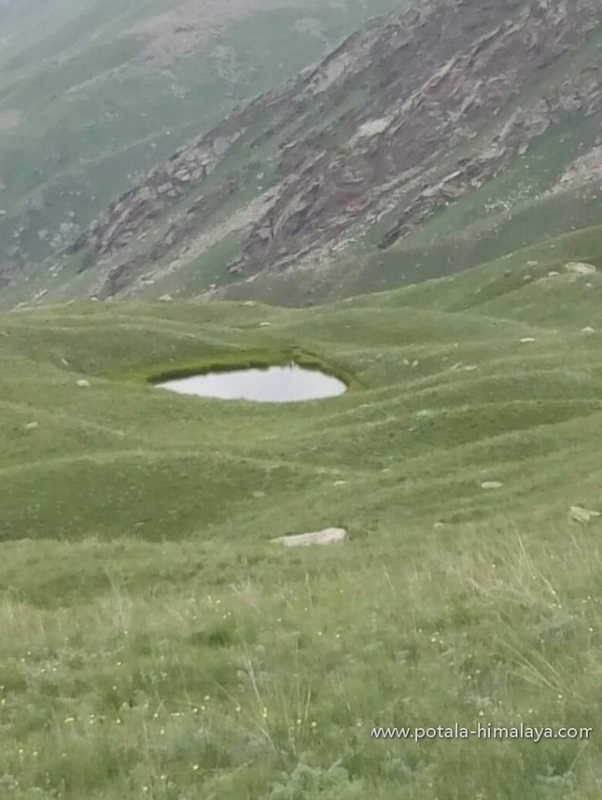 The landscape is Barren but beautiful. 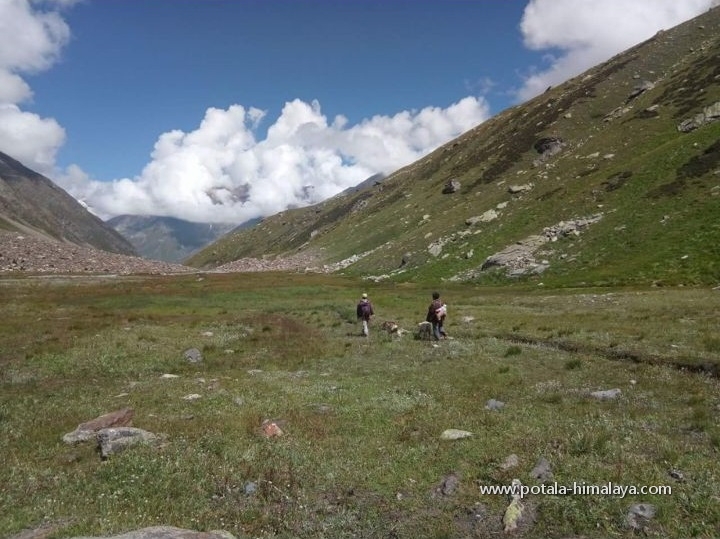 Trek further into the beautiful meadows in habited by the Shepard’s in the summers, offers a view of several snow clad peaks. 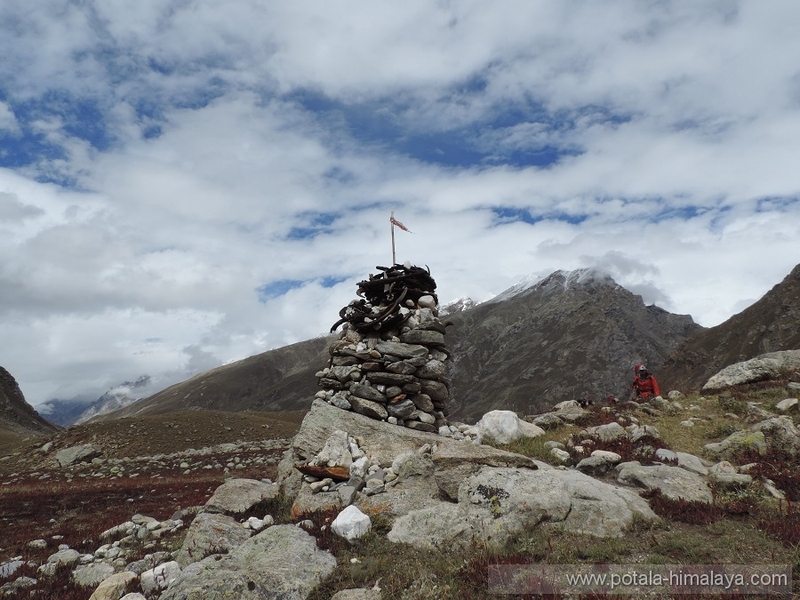 Trek back to the Village of Chask Bhatori and further descend to Siachu through the Deodar Forest. 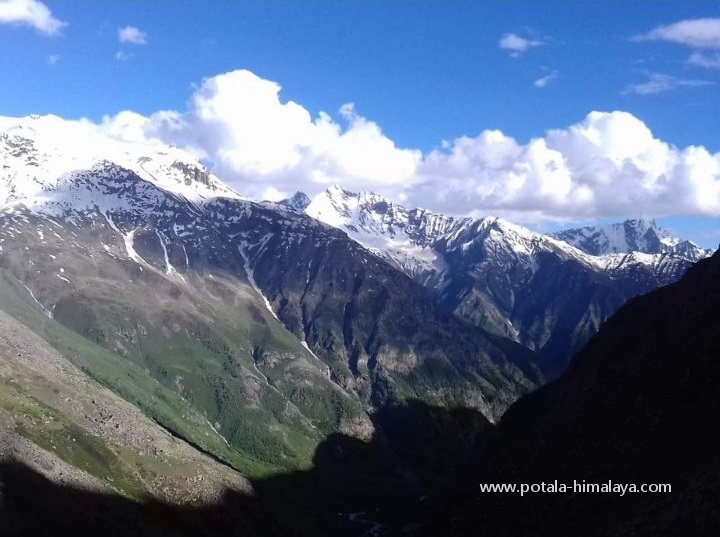 Drive back to Manali crossing Rohtang pass. 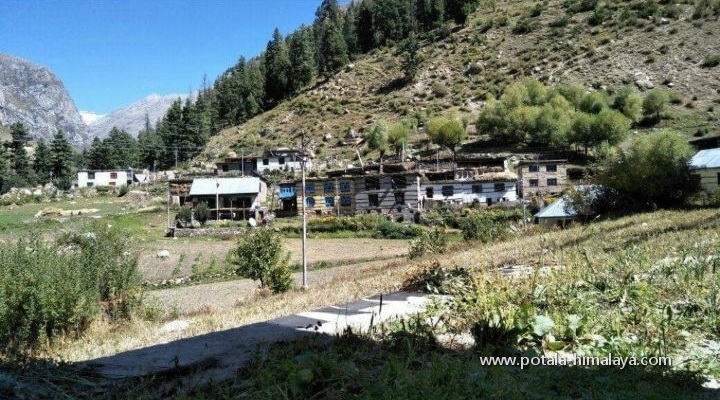 ü 3 nights of hotel accommodation in Manali on CP plan.